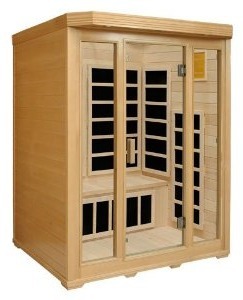 Even larger 3-person saunas are so quick and easy to assemble that two people can set one up in an hour. 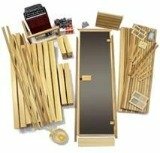 Each kit arrives with floor, walls, door and ceiling ready to attach together with hinges for easy assembly Not only are infrared saunas completely portable they can be set up just about anywhere you can plug one into a 110V outlet. 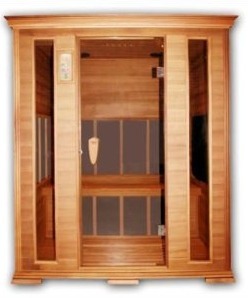 All of these 3-person saunas are about the same price as 2-person units so if you have the space, you should opt to get a 3-4 person unit if you can. 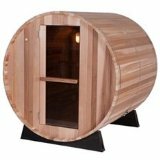 You’ll enjoy the extra room and it won’t feel so claustrophobic. 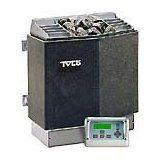 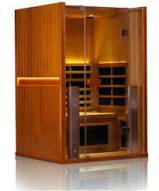 In addition, these home infrared saunas are high efficient, low cost units to operate and they all come with heater elements that normally last 15,000 hours of expected operating time — they’ll last you a lifetime.